MyLymeData is one of the largest patient-driven registries in the nation, with nearly 12,000 patients enrolled. It was created by patients, is run by patients and will address the issues that Lyme disease patients care about. MyLymeData Viz provides the community with results from MyLymeData. 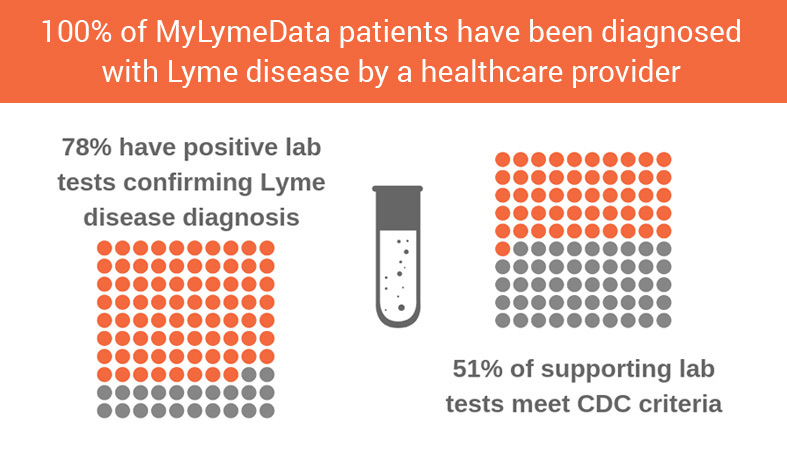 If you are enrolled in MyLymeData, we thank you for providing the data that will accelerate the pace of research in Lyme disease. If you are not enrolled, please enroll today. Do antibiotics help patients with Lyme disease who are also diagnosed with MS? 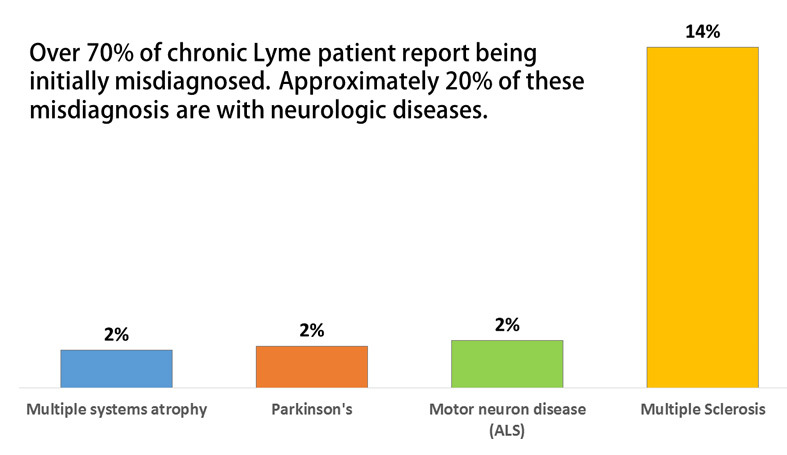 LymeDisease.org’s Quick Byte on neurologic Lyme disease focused on how often Lyme patients are misdiagnosed with a neurologic condition including MS (Multiple sclerosis). Our initial results presented at the conferences highlight the importance of early diagnosis of Lyme disease to improve patient response to treatment. 23% more patients who were diagnosed early reported being well compared to those diagnosed late.